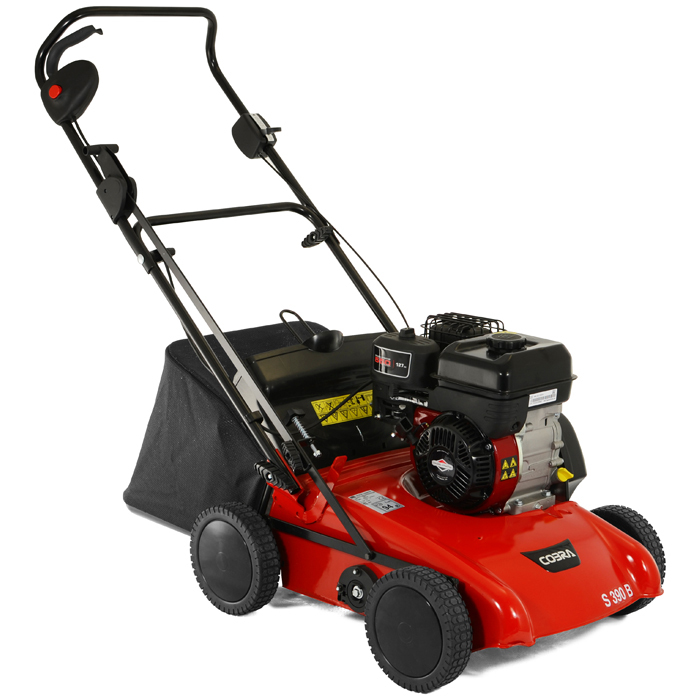 B&S 550 Series Engine - Expertly powering Cobra scarifiers - Briggs & Stratton general purpose horizontal shaft engines are built to be tough, reliable and efficient. Feature for feature, they offer you the best value available. Briggs and Stratton engines are perfect for powering Cobra petrol scarifiers. Ergonomically positioned operator controls - Cobra puts the power in your hands - The Cobra S390B electric scarifier has been designed to make raking your garden a simple and effortless task. The ergonomically positioned controls not only make operator use more comfortable, but more importantly, make using Cobra lawn scarifiers as safe as possible.